Versatile And Disciplined Stage Conductor David Levi - Alpha Artists Management, LLC. Known for his versatile style and flair across disciplines in both unusual works and standard repertoire, American conductor David Levi has graced the podiums of opera, ballet, concert and recording companies throughout Europe, South America and the U.S. He is a graduate of Harvard University with a degree in Psychology who later studied piano, conducting, chamber music and vocal accompaniment at The Manhattan School of Music. Recent and upcoming: Past seasons have included engagements with Teatro Lirico di Cagliari, in the Red Giselle-Eifman Ballet; Orquesta Sinfónica Nacional de Colombia, Bogotá; Bluebeard’s Castle with Orquesta Sinfónica Nacional de Colombia; Britten Concert, Orchestre National d’Ile de France; Concerts at the American Embassy and the Mona Bismarck Center for a Festival of Music by William Bolcom (as pianist); Funny Thing Happened On the Way to the Forum at the Volksoper; Anatevka (Fiddler On the Roof) at the Mörbisch Seefestspiele; a concert tour with Patricia Petibon (as pianist), Paris (Salle Pleyel), Toulouse, Lyon; Sweeney Todd, Magdeburg, Germany; New York City Ballet, (Tchaikovsky Suite No. 3, Shostakovich 2nd Piano Concerto and Stravinsky Violin Concerto); and, a concert of French Opera Arias at the Shanghai Opera, China. Mr. Levi’s early experience began in various German opera houses. 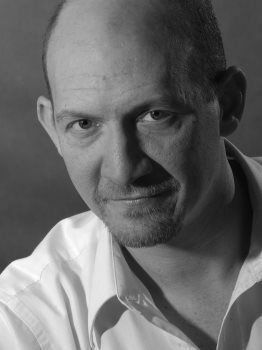 In 1993 he became assistant to James Conlon at the Cologne Opera, where he conducted new productions of Shostakovich's The Nose, directed by Harry Kupfer and Sondheim's Sweeney Todd, directed by Torsten Fischer, as well as performances of La damnation de Faust, Elektra, Eugene Onegin, Otello, Hänsel und Gretel, and La traviata. Currently living in France, he created the Spanga Opera Festival founded in The Netherlands along with stage director Corina van Eijk. There he conducted The Rake's Progress, Ariadne auf Naxos, Samson et Dalila, Falstaff, Aida, Il trittico, Mavra, and Sancta Susanna. In addition, he has conducted the soundtrack recording for three opera-films produced by Opera Spanga, Rigoletto, Samson and Dalila and Donna Giovanna. He recently debuted with the Opera di Roma in the European première of A View From the Bridge by William Bolcom. In addition to his critically acclaimed recording of South Pacific with Ferruccio Furlanetto and Marjana Lipovsek, he also conducted the film music for Une vie à t’attendre and Le héros de la famille, preparing Cathérine Deneuve and Emmanuelle Béart for their roles. Mr. Levi has conducted in many major opera and ballet houses including those of Roma, Vienna (Volksoper), Köln, Graz, Essen, Berlin (Komische Oper), Montpellier, Genova, Bologna and Trieste. He is a regular collaborator with the Orchestre National d’Ile de France. Acclaimed for his conducting of ballet, David Levi has led performances of Boris Eifman's Anna Karenina in Wien and Genova; Red Giselle in Trieste; Petrouchka, L‘après-midi d'un faune, and Les noces in Bologna; Bournonville's La Sylphide in Genova and his Napoli with the Royal Danish Ballet and the Opéra de Paris; and The River (Ailey) and Diversion of Angels at the Opera di Roma. Within the realm of musical theater, he has conducted Cabaret, Once Upon a Mattress, Oklahoma!, The Sound of Music, South Pacific, A Funny Thing Happened on the Way to the Forum and Sweeney Todd. Other recent concerts include a rendition of the Beethoven Eroica Symphony in Santiago, Chile along with concerts in Caracas with the Symphony Orchestra of Venezuela which have established his presence on the South American continent. "Over the weekend, George Balanchine’s “Stravinsky Violin Concerto” (1972) had its first performances of the year. Thanks to a guest conductor, David Levi, and the solo violinist, Arturo Delmoni, the score sounded marvelously bracing; and Sunday afternoon’s performance onstage was among the ballet’s finest in years."